Telecommunications Training Blog – Page 4 – Tutorials and articles from Teracom Training Institute. Bringing you the best in telecom training and certification since 1992. A closer look at the fourth item in our list of eight major recent developments and trends in telecom. a worldwide standard for mobile wireless has finally been achieved with 4G LTE. Mobility means it is possible to start communicating with a particular radio base station, then when moving physically away, be handed off to another base station down the road to continue communications uninterrupted. In a non-mobile system (like WiFi), communication ceases if you move too far away. The first generation (1G) of mobile radio was characterized by analog FM on frequency channels. Numerous incompatible systems were deployed: AMPS in North America, TACS in the UK, NMT in Finland and others. The second generation (2G) was digital, which means modems communicating 1s and 0s between the handset and base station. Again, several incompatible systems were deployed, and two warring factions emerged, which could be called the “GSM/TDMA faction”, and the “CDMA faction”. By far, the most popular 2G system was GSM, a European technology where a number of users time-share a single radio channel. Another system was IS-136, called “TDMA” in North America, deployed by the company currently known as AT&T Wireless in the US and Rogers in Canada. A less popular 2G system employed CDMA, using technology patented by American company Qualcomm, and deployed by Verizon, Sprint and Canadian telephone companies. These 2G systems were totally incompatible. A basic phone from a carrier could not work on another carrier unless they both used exactly the same system. To try to avoid a repeat of the incompatibility for the third generation, the International Telecommunications Union (ITU) struck a standards committee in year 2000 called IMT-2000, its mission to define a world standard for 3G. They failed. IMT-2000 instead published a 3G “standard” with five incompatible variations. The two serious variations were both CDMA – but differed on the width of the radio bands, the control infrastructure and synchronization method among other things. The GSM/TDMA faction favored the deployment of CDMA in a 5 MHz wide band. This was called IMT-DS, Direct Spread, Wideband CDMA and Universal Mobile Telephone Service (UMTS). Its data-optimized version was called HSPA. The CDMA faction favored a strategy that was a basically a software upgrade from 2G, employing existing 1.25 MHz radio carriers. This is called IMT-MC, CDMA multi-carrier, CDMA2000 and 1X. Its data-optimized version was called 1XEV-DO. Again, these 3G systems were completely incompatible. A basic UMTS phone could not work on a 1X network. Market forces finally pushed the two camps together. The fact that there were far more users in the GSM/TDMA faction meant that their phones were less expensive, had better features and appeared on the market first. This put the carriers in the CDMA/1X faction at a disadvantage. This trend was continuing into 3G, where UMTS phones would have the same advantage over 1X phones. Then, Steve Jobs invented the world’s most popular consumer electronic product, the iPhone – but only permitted carriers in the GSM/TDMA/UMTS faction to have it. This severely tilted the playing field. In the face of this, the CDMA/1X faction threw in the towel, and decided to go with the GSM/TDMA/UMTS faction’s proposal for the fourth generation (4G), called LTE, to level the playing field. And once this was agreed, Steve Jobs allowed the iPhone on all networks. One of the legacies of Steve Jobs will not just be the iPhone, but ending the standards wars by pushing the industry to agree on LTE as a single worldwide standard for mobile communications as of the fourth generation, using the leverage of his iPhone. The Certified Telecom Network Specialist (CTNS) web page has been given a makeover… it came out quite well! Take a look and let us know what you think! CWA course books released – and the first one is FREE! The course books for the three Certified Wireless Analyst courses are now available on Google Play Books! We’re using Google Play Books because it allows you to read the book on any device: desktop, laptop, tablet, phone, PC, Mac, iPad, android… which is way more flexible than iTunes or other platforms. The books are formatted the same way as Teracom instructor-led course and DVD course books, with detailed text notes on the left page and the corresponding graphics / bullets page on the right in two-page view. To get you started, the course book for Course 2231: Wireless Fundamentals is free, downloadable and printable! To download and print the the course book for Course 2231: Wireless Fundamentals, first add the book to your library (it’s FREE), then on the My Books page, click the three dots and choose “Download PDF” as shown in the screenshot below. If you print the PDF two-sided then put it in a 3-ring binder, the result will be almost identical to the course books supplied with Teracom instructor-led and DVD courses! Author adminPosted on September 22, 2015 Format ImageCategories certification, wirelessLeave a comment on CWA course books released – and the first one is FREE! The Certified Wireless Analyst (CWA) Certification Package is released! CWA includes three training courses covering the full range of wireless technologies, giving you the broad knowledge base required of an analyst in the wireless business — plus certification to prove it. Learn the fundamentals, jargon and buzzwords, principles of operation and ideas behind today’s wireless. • Radio fundamentals. Radio spectrum. • Cellular principles. Mobility and handoffs. • Digital voice. Mobile Internet Access. Upgrade your skills – and your résumé – with this training and certification today. Guaranteed To Pass with the Unlimited Plan! Benefit from decades of knowledge, insight and experience distilled into clear lessons, logically organized to build one concept on another… in plain English. AT&T, Verizon, Bell Canada, Intel, Microsoft, Cisco, Qualcomm, NSA, CIA, FAA, US Army, Navy, Marines and Air Force, Coast Guard, CIA, IRS, CRA, CRTC, RCMP, banks, power companies, police forces, manufacturers, government, local and regional telcos, broadband and fiber carriers and thousands of individuals. Teracom is a supplier of this training to the US Government under GSA contract GS-02F-0053X. Obtaining this Federal Supply Schedule contract involved a two-year-long process of evaluation including a customer quality rating where we scored 97%! 30-day, 100%, no questions asked money back guarantee. If for any reason you change your mind during the 30 days after purchase, you can get your money back. You have nothing to lose – and a marketable knowledge skill to gain! Get started now! Teracom is a Gold Training Partner of the Telecommunications Certification Organization, authorized to administer exams for TCO certifications on the myTeracom Learning Management System and award TCO certifications. It’s backed up with a Certificate suitable for framing, plus – a Teracom exclusive – a personalized Letter of Reference / Letter of Introduction detailing the knowledge your certification represents and inviting the recipient to contact us for verification. You may list Teracom Training Institute as a reference on your résumé if desired. TCO Certification differentiates you from the rest of the crowd when applying for a job or angling for a promotion. The knowledge you gain taking these high-quality courses, confirmed with TCO Certification, is foundational knowledge in radio and wireless: fundamental concepts, mainstream technologies, jargon, buzzwords, the underlying ideas – and how it all fits together. This type of knowledge and preparation makes you an ideal candidate to hire or promote to a task, as you will be able to build on your knowledge base to quickly get up to speed and work on a particular project – then have the versatility to work on subsequent projects. TCO Certification will help demonstrate you have this skill… a desirable thought to have in your potential manager’s mind. Take advantage of these courses for individual learning, a team, or for an entire organization. The scalable myTeracom Learning Management System can register and manage all of your people through their courses, lessons and exams, and generates reports showing progress and scores. For larger organizations, the courses and exams can also be licensed and deployed on an organization’s internal LMS. Teracom certification packages are an extremely cost-effective way of implementing consistent, comprehensive telecommunications and networking technology fundamentals training, ensuring that existing resources and new hires are all up to the same speed, with a common vocabulary, framework and knowledge base. Get started today with this invaluable addition to your knowledge and skills! Course 2231 Wireless Fundamentals is the first course in the CWA Certification Package. We begin with the fundamentals: what radio is, how it’s organized and how and it’s used to communicate information. Since most systems are digital, we spend time understanding how modems represent 1s and 0s on radio, and explain jargon like QAM and QPSK. We finish with penetration and fading. Course 2232 Mobile Communications is the second course in the CWA Certification Package. With a good foundation in place, we’ll cover mobile communications from A to Z: cellular principles, digital voice, data over cellular, mobile Internet access, the technologies: FDMA, TDMA, CDMA and OFDM, and the generations: 2G GSM, 3G 1X, UMTS and HSPA and 4G LTE. This is where the money is! Course 2233 Fixed Wireless is the third and final course in the CWA Certification Package. We’ll round out your knowledge with fixed wireless: WiFi, 802.11, WiFi security, Bluetooth, WiMAX, point-to-point microwave and satellites. Each course in the certification package has an associated exam, typically ten multiple-choice questions. You get unlimited repeats of the exam – which means guaranteed to pass. A full-color TCO Certificate suitable for framing is automatically awarded by the Learning Management System on completion of the required exams. It can be immediately printed on plain or textured paper on any color printer and framed by student as desired, with no shipping charges. It can also be attached to the electronic version of the student’s CV. An original hard copy of your Certificate, signed and sealed, can be sent to you by mail for $25 plus first-class mail cost. You also receive a personalized Letter of Reference / Letter of Introduction explaining the courses you took and the knowledge you have, and inviting anyone you give it to to contact us as a reference… excellent addition to your CV. You’ll have the right to display a high-resolution copy of the TCO logo on your résumé, business card, LinkedIn profile, web page, blog, or email signature. 7. A 30-day no-questions-asked 100% money-back guarantee. If for any reason you change your mind, for 30 days after purchase you can get your money back. You have nothing to lose! – and a marketable skill to gain! Invest in yourself! Upgrade your résumé with this essential core knowledge. Courses and exams labelled with this graphic on the Teracom website are HTML5, which is an open standard for displaying multimedia and interaction on webpages. HTML5 will run on windows and mac desktops, laptops and notebooks, iPad, iPhone, android notebooks, tablets and smartphones… and pretty much anything else. Like regular HTML, HTML5 code is interpreted by and displayed in a browser. We recommend using Chrome browser, as Chrome is fast and gives good results. The new CWA courses and exams are in HTML5. Courses and exams with this graphic use flash, which runs great on windows and mac desktops, laptops, notebooks. They run on iPad, iPhone and android smartphones with a special browser. CTNS, CIPTS and CTA use flash. Chrome browser has a built-in flash player, so CTNS, CIPTS and CTA run great in Chrome on mac or windows desktops, laptops, and notebooks. But… when Steve Jobs invented the iPad, he wouldn’t allow flash on it. Steve had objections to flash including security, efficiency and power consumption. The good news is there is an easy solution for iPad. For iPad, CTNS, CIPTS and CTA run in a special $5 browser. Online course lessons and exams are displayed in a browser. We recommend Google Chrome as it is fast and gives good results. When using a computer with Windows 8, please download Chrome browser and use that instead of Internet Explorer. Would you attend this course? Would you attend this two-day course? A two-day course for finance, strategy, management, software, customer support and other personnel providing a comprehensive overview and update on telecom network technologies. Our goal is to bust the buzzwords, explain the jargon, technologies and standard practices in the telecom network business, and importantly, the underlying ideas and how it all fits together. Complete with a detailed book for future reference, this course will fill in the gaps and provide you with the knowledge you need to eliminate frustration and be more accurate and productive. This training is an investment that will be repaid many times over. Join us for this career-enhancing opportunity! One of the biggest challenges in telecommunications is all of the acronyms, abbreviations, jargon and buzzwords. Plus, there is a second-order problem: even if you were to figure out all of the current jargon and buzzwords, it’s certain that new ones will be invented next month! It can be very frustrating sitting in meetings with these terms flying around and not understanding most of them… particularly when someone asks your opinion. So the question is: how to get on top of all the jargon and buzzwords, knowing that there is going to be constant change? Our answer: understand the fundamentals. Take the cover off the box and understand how it works. Once we do this, we discover that there are only a few main ideas in telecom technology, with incremental improvement in each area. Taking this course and understanding the fundamental ideas puts you back in control, with the confidence to contribute effectively. Even if you don’t know the exact details of a product someone is discussing, you will still know what they are talking about. People like to draw a diagram of a network as a cloud with sticks poking into it, and refer to the network as “The Cloud”. This might be useful for drawing diagrams, but if you are using, planning, ordering, managing, troubleshooting, developing software for or otherwise involved with telecom circuits and services, understanding what’s inside is productivity- and career-enhancing knowledge. In this course, you will learn how circuits and services are actually provided, giving you the knowledge to make meaningful comparisons and accurate decisions. How users share the network: channels, packets and Service Levels. The knowledge you gain taking this training course is vendor-independent foundational knowledge in telecommunications. You will be able to build on this proven knowledge base to quickly get up to speed for a particular project – then have the versatility to work on subsequent projects. The cost of this training will be repaid in productivity gain many times over. Based on Teracom’s proven instructor-led training courses developed and refined over twenty years providing training for organizations including AT&T, Verizon, Bell Canada, Intel, Microsoft, Cisco, Qualcomm, the CIA, NSA, IRS, FAA, US Army, Navy, Marines and Air Force and hundreds of others, Teracom online courses are top-notch, top-quality and right up to date with the topics and knowledge you need. Teracom was awarded a US Government Federal Supply Schedule (GSA) contract for these training services… which involved an independent evaluation where we scored a 97% quality rating from our customers! Join us today to make this invaluable addition to your knowledge and skills! 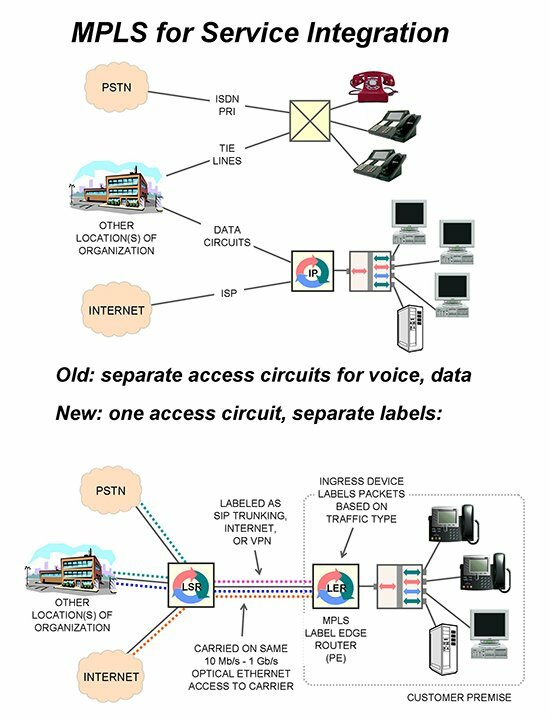 Fundamentals of TelephonyIt all begins with the Public Switched Telephone Network and Plain Ordinary Telephone Service. We’ll establish with a model for the PSTN, explaining analog circuits, loops, trunks, remotes, circuit switching and other telephony buzzwords and jargon. We’ll understand how the network is organized into access, switching and transmission. We’ll cover Centrex and traditional PBX, then understand Voice over IP (VoIP) concepts and components, soft switches and SIP trunking. With the fundamentals in place, we’ll cover digital. You will learn what is really meant by “digital”, how voice is digitized to 64 kb/s, and MP4 digital video. We’ll complete the story understanding how the resulting bits are communicated using binary pulses on copper and fiber. Analog and Digital: What Do We Really Mean? In this chapter, you will gain a solid understanding of the telecommunications business and how it is structured, including telephone companies, local and long-distance, and how these companies compete and interconnect. You will understand how each organization fits into the picture, including ILECs, IXCs, resellers, CLECs, collocations, regional rings, POPs and MANs. Next, we will demystify the Network Cloud. You will learn why people draw a picture of a cloud to represent a network, then most importantly, what is inside the cloud and understand what’s really going on. You will learn about the three basic kinds of network services available, the equipment used to implement each, and how services are actually provided… highly useful knowledge when planning, ordering, troubleshooting, auditing, or otherwise dealing with carrier services. We’ll begin the second day understanding what “convergence” is and how it was achieved by treating telephone calls and television like data communications. Then, we’ll get you up to speed on the concepts, jargon, buzzwords and technologies that were originally developed for datacom and now used for everything. You’ll learn the basic ITU model for data circuits, then plain English explanations of Ethernet, MAC frames and MAC addresses, IP packets and IP addresses, and how they relate. There are so many functions that must be performed to interoperate systems, a structure is required to organize the functions so that separate issues can be treated separately. For this purpose, we’ll use the ISO Open Systems Interconnection 7-Layer Reference Model. You’ll learn what a layer is, the purpose of each layer, examples of protocols like TCP and IP used to implement layers, an overview of many different protocols and functions you’ve heard of, and understand how a protocol stack works for applications like web surfing and VoIP. This chapter is dedicated to IP. We begin with the simplest framework, a private network, to understand routing and bandwidth on demand. We’ll introduce the term Customer Edge router and examine the functions performed by a router. Then we will cover IPv4 addressing: IPv4 address classes, static vs. dynamic addresses and DHCP, public and private addresses and NAT, and IPv6, how IPv6 addresses are allocated and assigned, and types of IPv6 addresses. We’ll begin with the basics of fiber and wavelengths, then compare older channelized transmission systems like T1 and SONET to newer packet-based transmission systems based on IP and Optical Ethernet. To complete the transmission story, we’ll briefly explore how the “last mile” is connected: fiber to the premise, active and passive, and fiber to the neighborhood followed by DSL or cable modems on copper. IP packets will be used to carry everything, including phone calls and television. But IP in itself does not include any Quality of Service (QoS) mechanism, no way to prioritize or manage traffic. This is implemented with MPLS. In this chapter, you’ll learn the basics of carrier packet networks, identifying Provider Edge (PE), Customer Edge (CE), access and core, and the important concept of a Service Level Agreement. Then without bogging down on details, you’ll get a big-picture understanding of MPLS and how it is used to implement business customer services, differentiated services and Class of Service (CoS), service integration and traffic aggregation. The Internet is a giant collection of interconnected IP networks called Autonomous Systems across which the public can communicate IP packets. In this chapter, we’ll understand what an ISP is and how they connect to others via transit and peering, and conclude by understanding telephone calls over the Internet and secure VPNs over the Internet. The final chapter brings all of the concepts together with a top-down review. You’ll learn valuable insight into telecom project management and methodology, and review telecom, datacom and networking technologies, services and solutions. We’ll conclude with a peek at the future of telecommunications, where the telephone network and Internet become the same thing. Our goal is to explain the underlying concepts, providing you with a practical understanding of telecom technologies and services, without bogging down on details. You will gain a solid base of structured knowledge that can be applied to immediate projects and can be built on in the future… an investment in productivity that will be repaid many times over. Teracom’s courses have been taught to wide acclaim across North America since 1992 and are designed for professionals needing to fill in the gaps, build a solid base of knowledge and understand how it all fits together. Cut through the buzzwords, jargon and vendor hype to gain a structured understanding of telecommunications and networking, allowing you to make meaningful comparisons and informed decisions… knowledge skills you can put to use today and in the future. Get up to speed on the latest developments and trends. This course is totally up to date with SIP trunking, VoIP, Optical Ethernet, MPLS and more. Get a solid base of vendor-independent knowledge of technologies, service providers, standard practices and mainstream solutions that you can build on. Understand how it all fits together. Learn more with instructor-led training – the best kind of training you can get – where you can interact and ask questions with instructors consistently rated “excellent” on student evaluations. Obtain a course book with detailed notes that will be a valuable reference for years. Develop a structure for understanding technologies and solutions, allowing you to make informed choices and meaningful comparisons — knowledge you can’t get on the job, reading trade magazines or talking to vendors. Every course comes complete with a high-quality course book that’s been called the best on-the-job reference tool around. Written in plain English, this easy-to-use reference includes copies of all graphics PLUS extensive detailed text notes. Topics are organized in logical groups to give you easy reference after the seminar to the practical experience, theoretical background, and unbiased information on industry technologies, products and trends you’ll need. With numerous chapters covering all major topics, you’ll obtain an invaluable resource impossible to find anywhere else in one book. As a free bonus, you get the full set of Teracom’s Online Courses. Not only are these an excellent way to take a second pass through various topics, the Online Courses include pictures of equipment and additional lessons beyond those in this course. If you choose to write the optional exams, you can earn Telecommunications Certification Organization (TCO) Certified Telecommunications Network Specialist (CTNS) Certification, complete with Certificate suitable for framing and a personalized Letter of Reference for your résumé. Certification is concrete proof of your knowledge. The included Unlimited Plan option allows you to repeat exams as needed until you pass… which means guaranteed to pass if you’re willing to learn! “The seminar delivered exactly what was advertised, at a very high quality. – Orlando Jasso, AboveNet Communications. “Best course materials ever; the full text descriptions are invaluable. Since 1992, we have provided high-quality on-site training in telecommunications for non-engineering professionals at AT&T, Verizon, Bell Canada, TELUS, Qualcomm, 3Com, Cisco, Intel, Alcatel, Nortel, Teleglobe, the NSA, Defense Information Systems Agency, US Coast Guard, US Air Force, Office of Naval Intelligence, MindSpring, APEX Telecom, Equifax, Transamerica Insurance, The Hartford, American Broadband, Cap Gemini, ComSec Establishment, MicroCell Telecom, TDS Telecom, Kyocera, Winstar, Western Wireless, US Cellular, Ericsson/Hewlett-Packard, Entergy, Intelsat, RangeTel, Alltel, Vertek, DSCI, Cox Cable, Florida Power and Light, Frontier Communications, Western Iowa Telephone, Genuity, LG Electronics, Panasonic, SouthEast Telephone, State of Nebraska, State of Montana, Tektronix, Bermuda Telecom, UTS and the Universal Service Administrative Company… to name a few. Plus, we have a GSA contract with pre-approved government pricing. Your personnel will be up to a common speed with a solid knowledge base. We’ll fill in the gaps and put in place productivity-enhancing structured understanding of telecom and networking fundamentals, wireless, TCP/IP, MPLS, VoIP… to meet your requirements.. The seminar will be a strong team-building exercise. Significant reductions in training costs are often achieved. Each student receives a detailed workbook / textbook that will be a valuable reference for years to come. We have built a solid reputation for delivering high-quality private team-training programs that are a resounding success. We’d like to do the same for you! Please contact us at 1-877-412-2700 for more information. Eric Coll is an international expert in telecommunications, data communications and networking and has been actively involved in the industry since 1983. He holds Bachelor of Engineering and Master of Engineering (Electrical) degrees. Mr. Coll has taught telecommunications technology training seminars to wide acclaim across North America since 1992, and has broad experience working as an engineer in the telecommunications industry. He has worked for Nortel’s R&D labs as a design engineer on projects including digital voice and data communications research and digital telecom network equipment design, and on satellite radar systems, consulting on Wide Area Network design, and many other projects in capacities ranging from detailed design and implementation to systems engineering, project leader and consultant. In addition to being founder and Director of Teracom Training Institute, Mr. Coll provides consulting to the telecommunications industry, specializing in telecommunications technology R&D and as a Subject Matter Expert in tax matters. Author adminPosted on January 16, 2015 Categories telecommunications, training courseLeave a comment on Would you attend this course? Optical Ethernet has replaced SONET for all new core fiber network projects, and is also routinely used for “last mile” connections, achieving a long-held goal in telecommunications: one technology for all parts of the network. An almost-identical technology was subsequently codified in the 802 series of standards from the Institute of Electrical and Electronic Engineers (IEEE). Products conforming to the IEEE 802 standards ended up dominating the market, and Ethernet no longer exists. When people say “Ethernet” today, they are referring to IEEE 802 standards. Ethernet moves frames of data between computers that are on the same physical circuit. A frame is a block of data, typically about 1500 bytes, prefaced by the address of the receiver, the address of the sender and control information, followed by an error check. The addresses are Media Access Control (MAC) addresses, 48-bit numbers identifying the LAN chip in each computer. LAN frames are also called MAC frames. In the beginning, many computers were connected together by tapping onto a coaxial copper-wire “bus” cable. Today, one computer is connected with a LAN cable to one port on a LAN switch as illustrated in the diagram. The LAN switch moves frames internally from one port to another, and hence from one computer to another. Ethernet was developed for communicating data packets between computers inside a building, in a bursty, as-needed manner. Ethernet then escaped and took over the world of fiber connections between buildings, replacing the previous technology used for fiber backbones called SONET. SONET carried 64 kb/s streams of bits called DS0 channels on fiber between buildings. It was designed to carry phone calls in these channels. It can also carry data packets on these channels. But using channels for communications is not efficient, since the bits in the channel are reserved whether there is anything to transmit or not, and the channels only go between fixed places. The new-generation all-IP telecom network does not use channels. Everything is put in IP packets, which are created and transmitted only when there is information to be communicated, and routed one-by-one to different destinations. This is more efficient and much more flexible. Packets are transmitted from the originating machine in a MAC frame on a physical circuit to a router, then to the next router in another city, to the next router, and finally delivered in a MAC frame on a physical circuit to the destination. The connections between routers in different cities are LAN cables… but not the familiar blue copper-wire LAN patch cables used in-building. Inter-city LAN cables are made of glass fiber. A MAC frame is signaled from one end to the other by pointing a laser into the fiber and turning it on and off. Light on means “1” and light off means “0”. This is called Optical Ethernet, and allows much higher bit rates and much longer reach than copper wire LAN cables. Today, Optical Ethernet is not used just for inter-city links, but also for the access circuit, the circuit from the customer to the network, sometimes called the “last mile”. The use of Ethernet for in-building communications, access circuits and intercity backbones represents the achievement of a long-held goal in the telecommunications business: to save money by using the same technology in all parts of the network. and in free tutorials on teracomtraining.com.